In celebration of President’s Day this week, I’m featuring a book that gives you a personal tour inside the White House. This book is full of interesting facts, history, secrets related to privacy, and funny anecdotes. Kids and parents will enjoy reading this book and learning much about the most famous house in our country. With over 40 sections of this book, there are facts on everything from the building and grounds to state dinners, food, Christmas, the Easter Egg Roll, rituals, decor, and security. Nothing is missed in this book full of fun information. History and political fans will love reading through this book. At the flick of a switch, windows in the Situation Room frost over to give the president privacy. President Theodore Roosevelt’s daughter Alice kept a pet garter snake named Emily Spinach in the White House. First daughter Susan Ford held her school’s senior prom in the East Room of the White House in 1975. There are 35 bathrooms among the six levels of the White House and they also have low-flush toilets to save water. Each year, some 300,000 people enter the lottery for the annual Easter Egg Roll. Just 35,000 tickets are available. Ticket holders get a two-hour time slot to play and roll before they are ushered out and the next group brought in. President Thomas Jefferson had an ice house built on the White House Grounds so that he could have ice cream all year long. 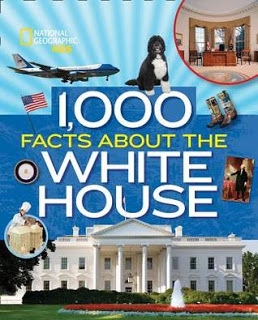 The book ends with a glossary of keywords, a timeline of dates in White House history, and a listing of all the Presidents including their name, nickname, term of office, political party, and First Lady. Hundreds of photos are included in the book featuring Presidents, their families, and their staff. It’s definitely an inside look into the private world of the White House. I have family that works in the White House and I still learned so much about the White House from this book! Now I have all kinds of questions to ask them this summer when I see them! This is a bigger, hardcover book and one that stands out on the shelf. The paper is high quality and glossy. The photographs are clear and detailed and give the reader even more to learn besides the facts on the pages. I highly recommend this book for libraries, classrooms, and homes! Planning a family vacation to Washington DC? Get this book first! 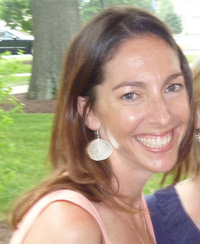 Sarah Wassner Flynn is a freelance writer, author, and editor. She has authored numerous nonfiction books for National Geographic and contributed to their National Geographic Kids Almanac and their WEIRD BUT TRUE series. She is also an amateur triathlete. She lives in the suburbs of Washington DC with her husband and three children. For more information, check out her website, HERE. I thought this book was a lot of fun!